US Navy evaluation of the FB-4 with a Wright P-1 radial engine led to this aircraft being re-engined with a Pratt & Whitney Wasp and redesignated FB-6. It was flight-tested and demonstrated the clear superiority of the Wasp, leading to a decision to combine this engine with an airframe based on the Model 66. 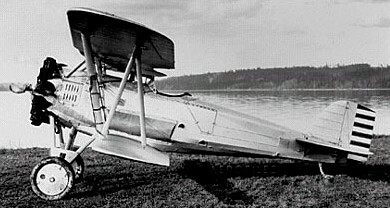 From this marriage of airframe and powerplant came the Boeing Model 69, designated XF2B-1 by the US Navy, and first flown in prototype form on 3 November 1926. 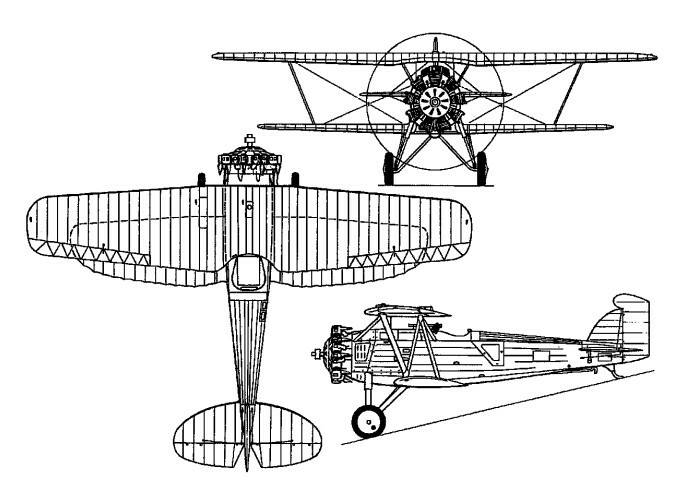 It differed mainly in having the span of upper and lower wings more nearly equal, and by the propeller having a large spinner. 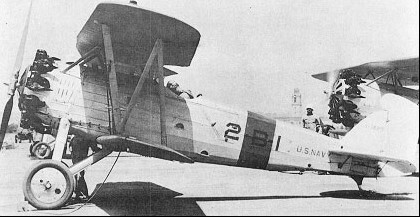 Three F2B-1s were flown by the “Three Sea Hawks” Navy precision stunt flying team of the late 1920s.